published an article about the Michelin Challenge Design Contest, named „Designs For A Downsized Future“. New York Times brought an interview with Tilmann Schlootz Design Frankfurt about future mobility, car design and the concerning vehicle concept Audi Snook. 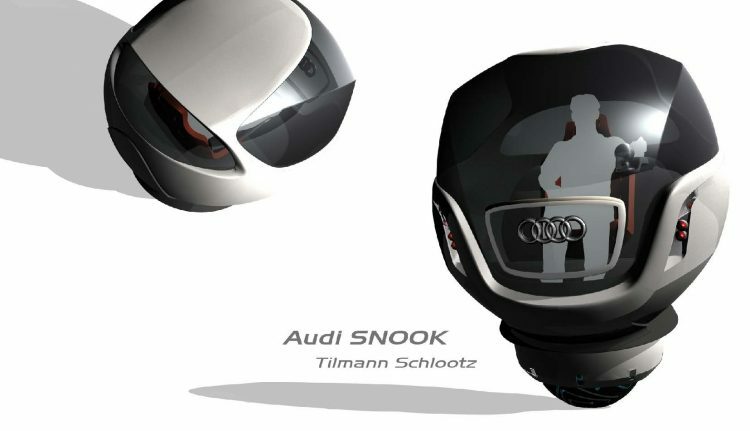 has a documentation about future vehicle concepts in urban environment, where they make an interview with Tilmann Schlootz Design Frankfurt about car design and mono spherewheel vehicle concept Audi Snook. The TV-show is translated in several languages and is in continuous rotation worldwide. This video shows the interview and the Audi Snook feature in Russian language.